For many years, both the large beverage companies and the large tobacco companies have been in search of growth. That’s because, in both cases, their main products – tobacco, alcohol and sugary drinks – have been deemed to be unhealthy and therefore fewer consumers are using their products. But now there is a FOMO (fear of missing out) phenomena going on in those sectors, all thanks to the legalization of marijuana. Canada will legalize recreational cannabis use today, October 17. More than a dozen countries have legalized pot for medical purposes, including Germany and Australia, and several others are evaluating decriminalization. Here in the U.S., pot has been legalized in more than half of the 50 states, despite cannabis still being illegal under federal law. Nine states, including California, Colorado and Massachusetts, as well as Washington D.C., have approved recreational marijuana use. The trend toward legalization is opening a very big market. Analysts at ArcView as well as BDS Analytics expect spending on cannabis globally to reach $32 billion in 2022 from just $9.5 billion in 2017 and about $11 billion this year. What caught my interest was a recent report from analysts at Cannacord Genuity estimated that sales of drinks infused with THC or CBD, will make up 20% of the edibles market and will reach $600 million in sales in the U.S. by 2022. In Colorado, which became the first state to legalize recreational marijuana in 2014, sales of cannabis drinks almost doubled in 2017 and are up an additional 18% in the first half of this year, according to Flowhub, which tracks marijuana sales data. This points to the vast opportunities in using various parts of the cannabis plant. There are a myriad number of different flavors, aromas and psychological effects offered by different parts of the plants. In fact, those in the industry say that the chemical which produces feelings of euphoria is only one of more than 100 cannabinoids or active compounds in the plant. Other cannabinoids offer mellower effects ranging from mild relaxation to reduction of inflammation. Some of the drinks companies, in particular, are very excited about adding CBD (cannabidiol) – the non-psychoactive part of marijuana – into drinks aimed at the mass market. These drinks containing cannabidiol and focused on pain management, could become big business. Coke is no doubt looking to broaden the reach of cannabis-infused beverages into functional wellness categories, enabling the company to potentially one day ‘own’ the non-recreational cannabis-infused beverage category”. Other drinks companies, known for alcoholic beverages, are also jumping into the pot sector. Managements at these firms believe that millennials may swap out their wine or craft beer for some pot-infused water and other similar drinks instead. The maker of Corona beer and Modelo Especial, Constellation Brands (NYSE: STZ) really got the ball rolling in August on the recent marijuana madness when it invested just under $4 billion into the Canadian cannabis group Canopy Growth (NYSE: CGC), lifting its stake to 38%. Also in August, Molson Coors Brewing (NYSE: TAP) also jumped in by starting a joint venture with Hydropothecary (OTC: HYYDF) to develop non-alcoholic, cannabis-infused beverages for the Canadian market. Hydropthecary is to soon change its name to HEXO Corporation. And Diageo (NYSE:DE), the drinks conglomerate behind Johnny Walker whiskey and Guinness beer, has also been exploring investment opportunities in the cannabis sector in recent weeks. It is thought that Diageo, the world’s biggest alcohol company, has had serious discussions with at least three major Canadian marijuana companies, but will wait until marijuana is officially legal in Canada to finalize any deals. Finally, we have Big Tobacco moving into the marijuana space also. 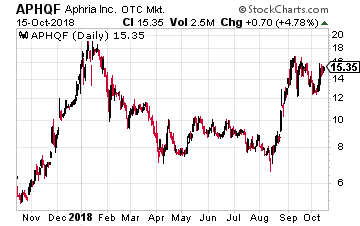 The biggest U.S. cigarette company, Altria Group (NYSE: MO) is reportedly in talks to buy a stake in Aphria (OTC: APHQF). 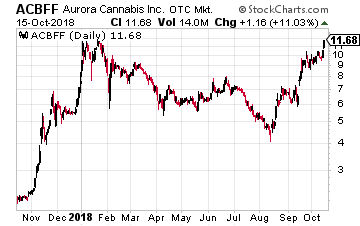 The only surprise here is that Altria waited so long to make a move into the cannabis industry. Legalization of pot for recreational use will come sooner or later here in the U.S. And what industry is more skilled at navigating the morass of regulation and lobbying in Washington D.C. than a tobacco company like Altria? When and if the deal is consummated, it will be major news. After all, Altria has only done one deal worth over $100 million in the last decade! The upshot of all these deals in the cannabis sector is that the same companies that dominate the consumer vices sector now will still be major players in the future offerings of pot-infused products to the consumer. Should You Let Your Portfolio Go to Pot? This will inject some life into these companies and their stocks. But the real serious money will be made by investors that own the right companies in the marijuana sector. Picking the right companies though is no easy task. That’s because there’s usually a land rush with everyone piling in, which is where we are at the moment. 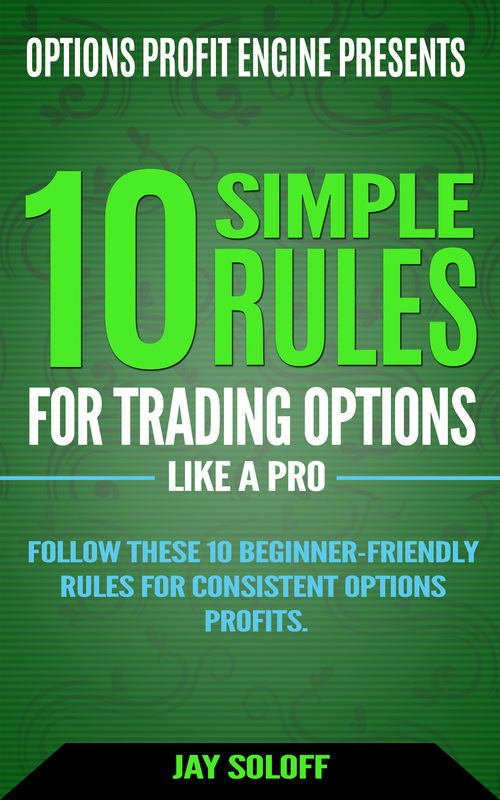 After that happens, there is a long period of separating the winners from the losers. The final result is you get a few respectable players, with all the rest being rubbish that shouldn’t be touched with a 10-foot pole. So which one of these pot companies look okay to invest into today? You have to include the largest player in the sector, Canopy Growth, which bought rival Hiku Brands a few months ago. And it just recently said it was buying pot research firm Ebbu so that it can grow “better” pot. The company has also been working on cannabis drinks for the past couple of years in an area of its Ontario campus known as the Section 56 Exemption lab. It’s trying to sort out how much of it to put into beverages, how long it will take for effects to be felt, and how long they take to wear off. But with Constellation Brands owning 38% of the company, I question how much life is left in the stock for the rest of the shareholders. Although a takeover is a possibility. A better choice is Canada’s second-biggest marijuana company, Aurora Cannabis (OTC: ACBFF), which is the company Coke is believed to talking to about a deal. Its $2 billion deal to take over rival MedReLeaf in May was the largest deal in the sector at the time. The company is also building high-tech facilities, known as “Aurora Sky” farms, to automate the growing and harvesting process as far as possible and to regulate the plants’ environment, protecting them from pests. Its biggest farm at the moment is 1.2 million square feet. 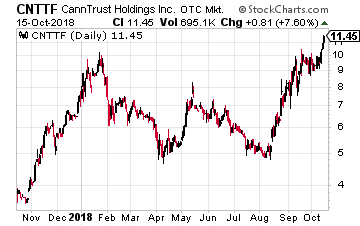 Another company I would consider is CannTrust Holdings (OTC: CNTTF), which will be listing soon also on a major U.S. stock exchange. It is in active discussions with a number of firms in the beverage, food and cosmetics industries and expects to announce a deal within the next two months. And the company’s stock has not reached the sky-high valuations of its peers. It has a price to 2019 sales ratio of just 6.17 compared to 89.53 for Tilray, according to data compiled by Bloomberg. And its market cap of less than $1 billion is dwarfed by Tilray’s $14.66 billion. That leaves a lot of room for capital gains here. Stay tuned as I bring you more insights in this sector in the near future.